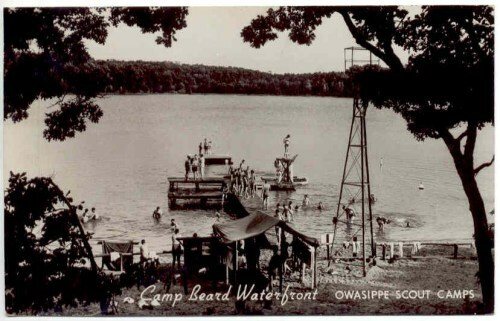 Owasippe Scout Reservation was created in 1911 as Camp White, with 40 acres of land on Crystal Lake in Whitehall, Michigan. It is the oldest continuous operating Boy Scout Camp in the United States, having celebrated its’ 100th anniversary in 2011. 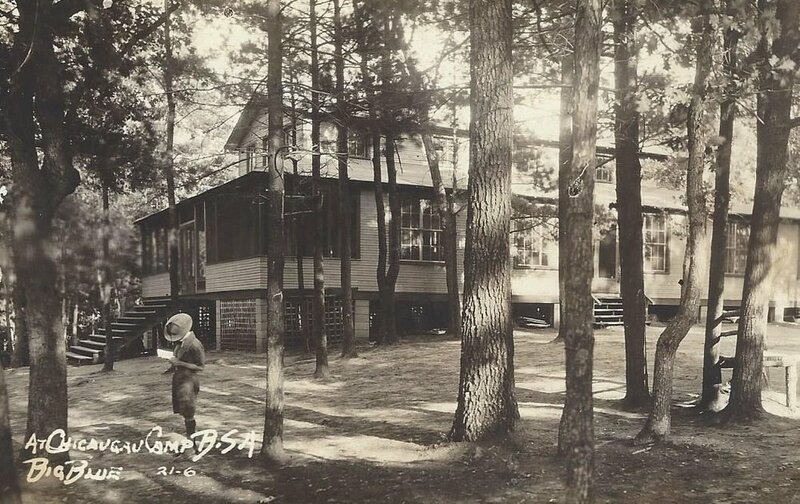 It all began in the summer of 1910, as a group of visionary businessmen from Chicago headed to Whitehall, Michigan to investigate the possibility of acquiring property for the purpose of building a Boy Scout Camp. The group, led by A. Stamford White, Chicago Council President, met with the Whitehall Chamber of Commerce who agreed to donate 40 acres of land on Crystal Lake, with the agreement that the Scout group would purchase an additional 80 acres. 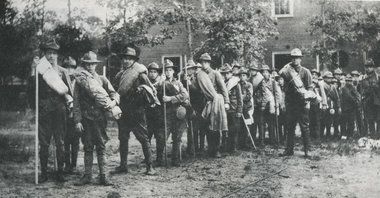 In 1911, a group of Scouts and adult workers went to Crystal Lake, cleared campsites, dug a well and erected the first mess tent. 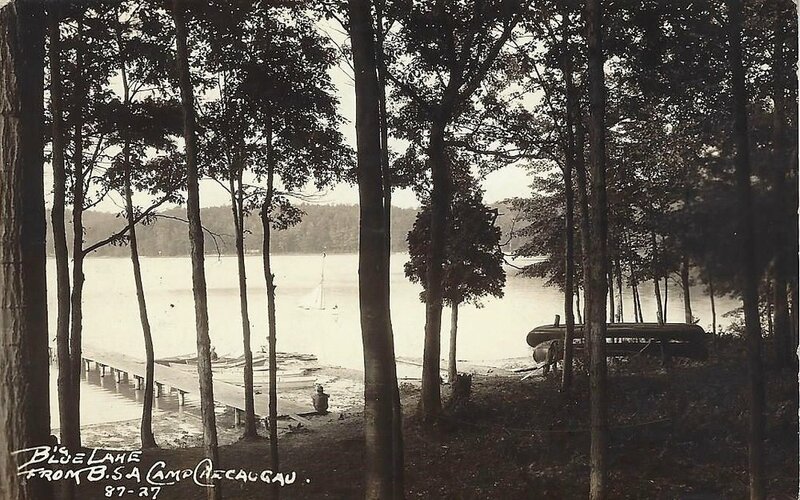 In 1912 the summer camp operation started in earnest with over 800 Scouts traveling by steam ship from Chicago, crossing Lake Michigan to Whitehall. They then hiked the last few miles to camp with their gear. 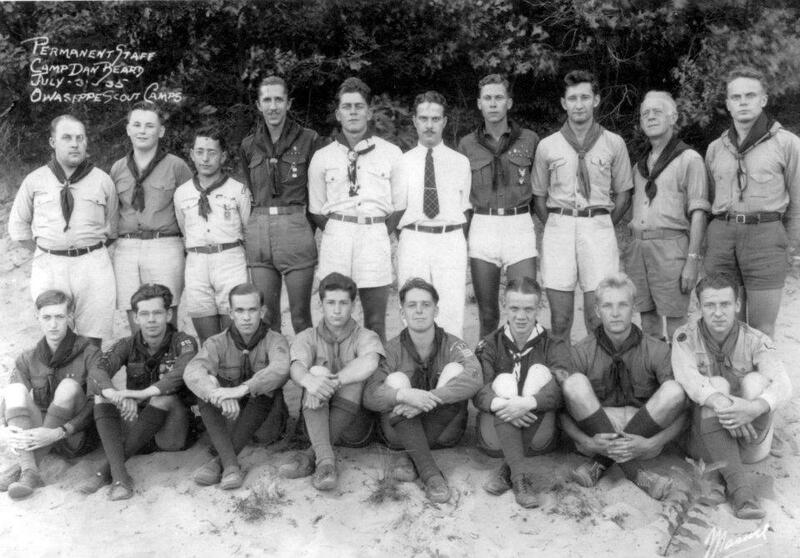 Most of the Scouts who did attend, stayed for two weeks, enjoying the primitive facility. Over the years Scouts modes of transportation varied; coming by boat, train, bus and car, making Owasippe a favorite destination for Scout camping. In 1915, the Camp was renamed Owasippe, possibly taken from a local Native American Indian Legend that surfaced about the same time. 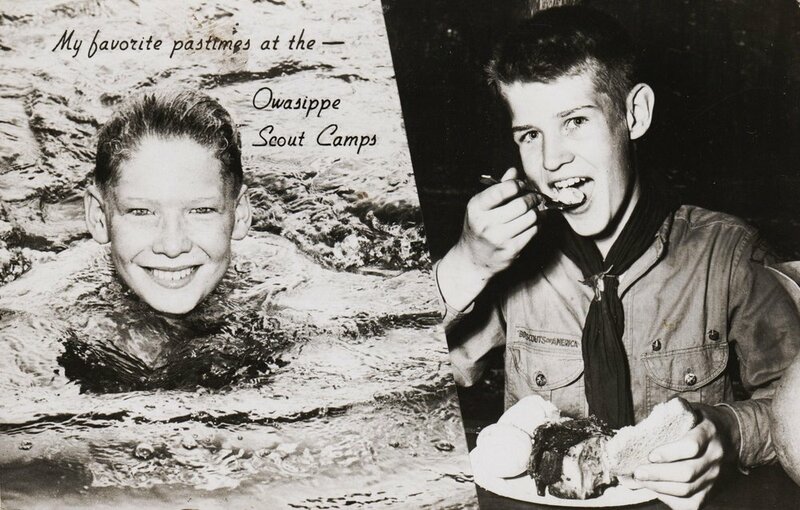 The legend has become ingrained in every Scout experience at Owasippe since that time. The camp continued to expand over the years as districts in the council opened their own camp facilities. This expansion continued through the 1920s at Crystal Lake and then Big Blue Lake, several miles to the North and East. It was only natural that the land in between these two lakes would be acquired over time. By the 1960s, the property had grown to over 11,000 acres, which included Lake Wolverine (also known as Cleveland Lake). 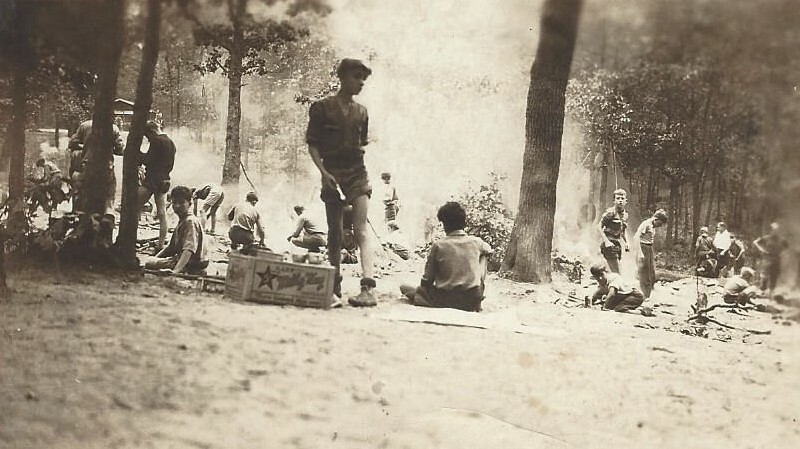 The land acquisition had largely, connected the three lakes, creating a new Owasippe Scout Reservation. 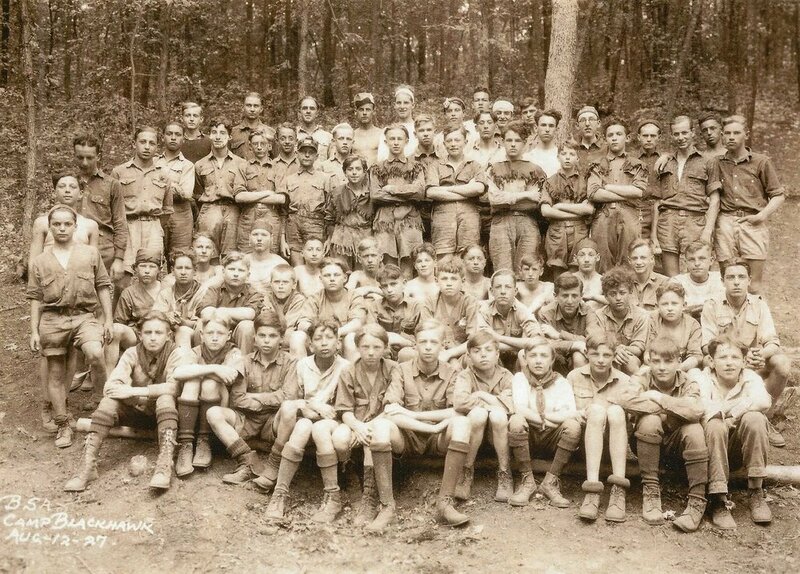 At that time, there were as many as 18,000 Boy Scouts attending each summer. Today, Owasippe sits on almost 4800 acres, adjacent to the 540,000 acre Manistee National Forest. 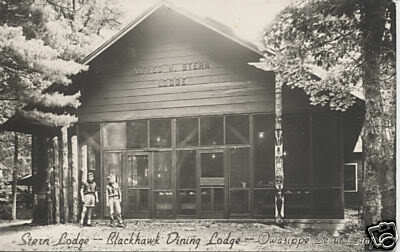 It still operates Camp on Big Blue Lake and Lake Wolverine. It has over 75 miles of wilderness hiking trails and many opportunities for your Scouts to create new experiences. Owasippe is now owned and operated by Pathway To Adventure Council, BSA. Come join us as we explore all that Owasippe has to offer and be ready to experience the adventure.